The amount of money you earn with your affiliate business does not matter; all that you need to know is that this amount can be double, tripled and even quadrupled. 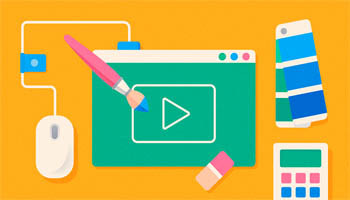 All that you need to make this a reality is how to apply SEO techniques that are friendly to the search engines. The cooler your website is, the more visitors you will get. SEO will make your site better, and this will make it rank better. In this post, we will share some of the SEO techniques that will make your site better. You need to check your site’s health, detect issues that might be affecting the site and sort them out. Having a website that has a clean structure is one that is free of technical issue. Some of the issues that will ruin your site’s health are Missing Alt Text, Duplicate Title tags, missing Alt text, Broken Internal Links, Low Text to HTML ratio, Missing Meta Description, Missing H1 tags and Multiple H1 tags. When you dwell on keywords that are already being used by big boys in the industry, you will have a hard time ranking your site. You need to look for keywords that are similar to those that are difficult to rank but mix them with terms related to them. Go for long-tail keywords, and they will bring you more success in the future. Writing good content will not be enough for you. It does not matter how cool, funny or engaging your content is. If your content is not optimised properly, it will not get to the golden spot of the search engines. When coming up with the content, you need to have a compelling structure, add the main keyword with the medium and high volume keywords, give clear answers to your subject, come up with a comprehensive meta description and create URLs that are meaningful.